Treat others as you wish to be treated. This is what we were taught, and this is the idea around which we have built our practice philosophy. 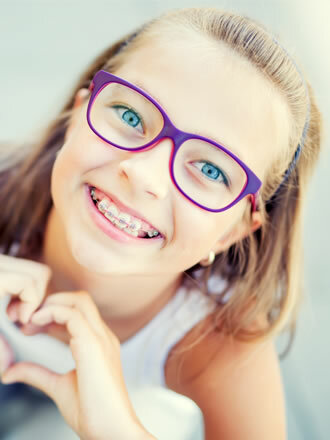 We are not only committed to excellence in treating our patients orthodontically, we are committed to excellence in treating them as individuals with unique needs and interests. When our patients and their families walk through our door, we want them to be a part of our practice family. Our patients have committed much time to receive orthodontic treatment in our office. We appreciate them and strive to foster an environment that is friendly, comfortable and kind so that they look forward to their visits. People do amazing things and we love hearing about our patients’ activities and accomplishments. We share news about our patient family in both our handwritten and digital newsletters. We are active in supporting our local communities through our field trips we provide for local elementary school students, our YMCA parties for our patients and their friends, and our contributions to school activities, events and fundraisers. We are committed to excellence in treating teeth, but we will never lose site of the unique individual behind the smile and will treat him or her as we wish to be treated.